The latest iteration of President Donald Trump’s executive order on cybersecurity will probably require Federal agencies to use the National Institute of Standards and Technology’s framework, according to Ron Ross, a fellow at NIST. Published in 2014, NIST’s Framework for Improving Critical Infrastructure Cybersecurity was meant to serve as a voluntary set of guidelines to help agencies manage cybersecurity. However, the framework may no longer be “voluntary” in the new executive order. 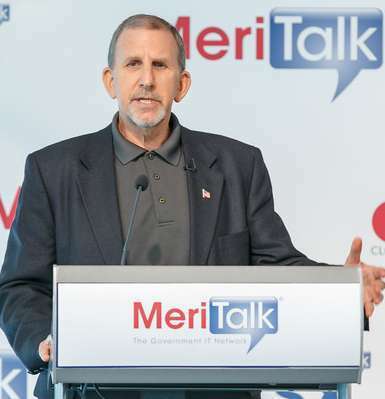 Ross, who spoke at MeriTalk’s webinar titled Conquer (Un)Predictable Intelligence on May 2, said NIST’s security guidelines need to be as accessible to Federal agencies as they are to private sector companies. NIST has issued several Special Publications on security matters, including SP 800-160, which was released in November and focuses on engineering considerations when developing a secure system. Subsequent Special Publications will include guidelines from the cybersecurity framework, Ross said. In addition to providing agencies with ways to improve their internal cybersecurity postures, Special Publications such as 800-160 also facilitate collaboration between agencies and companies, Ross said. Federal and private sector cooperation was a major theme experts discussed at the webinar, which MeriTalk ran in tandem with Pure Storage. Pure Storage offers security measures for storing data. Nick Psaki, principal systems engineer of Pure Storage, said two of their recent products include FlashArray, which can be used to protect structured databases, and FlashBlade, which is used for unstructured data. David Rubal, chief technologist of data and analytics and principal data scientist at DLT Solutions, said that Federal agencies specializing in financial matters have done an exemplary job of working with financial companies. He said these partnerships are valuable because agencies and companies often face the same problems.